I wrote variations of that title so many times that 'windswept' does not seem like a real word anymore. I love it though when the wind adds a bit of drama to an outfit post…not too much though it was bloody freezing. I know I wear this Brandy Melville top a lot, (see here and here for reference) but it's just such a good staple and I love that I can wear it tucked in or oversized like this. Plus, their tees are sooo soft and cosy, the quality really is worth the extra pennies! that duster coat is gorgeous, i love this whole outfit combo!! you outfits are always so perfectly put together & just wonderful! 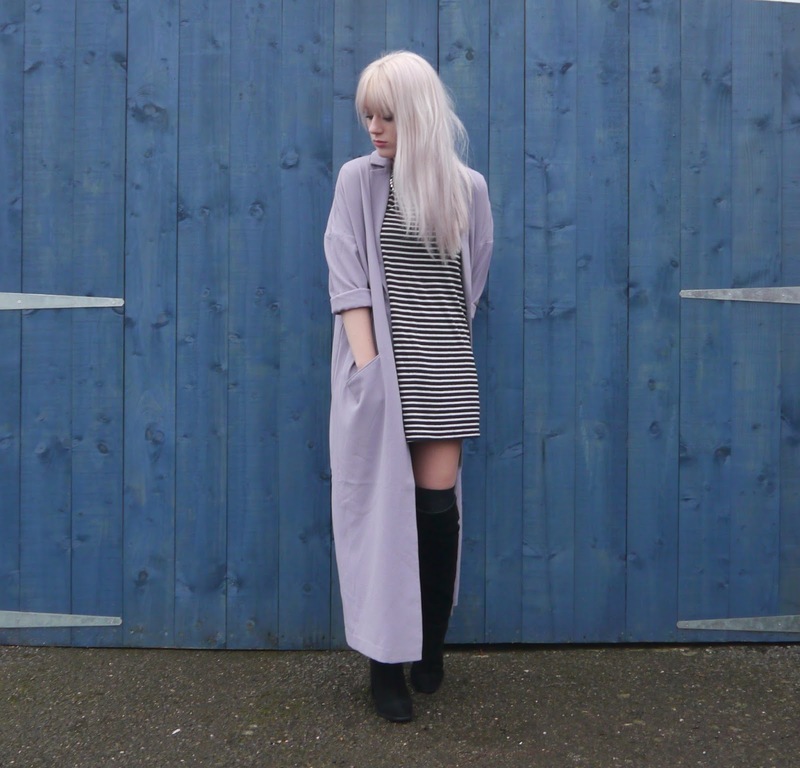 This duster coat is beautiful, never seen anything similar before! that happens to me, where repeating a word too many times makes me doubt my spelling of the word. Besides that haha, I love your coat and dress! Those knee high boots look lovely with stripes! 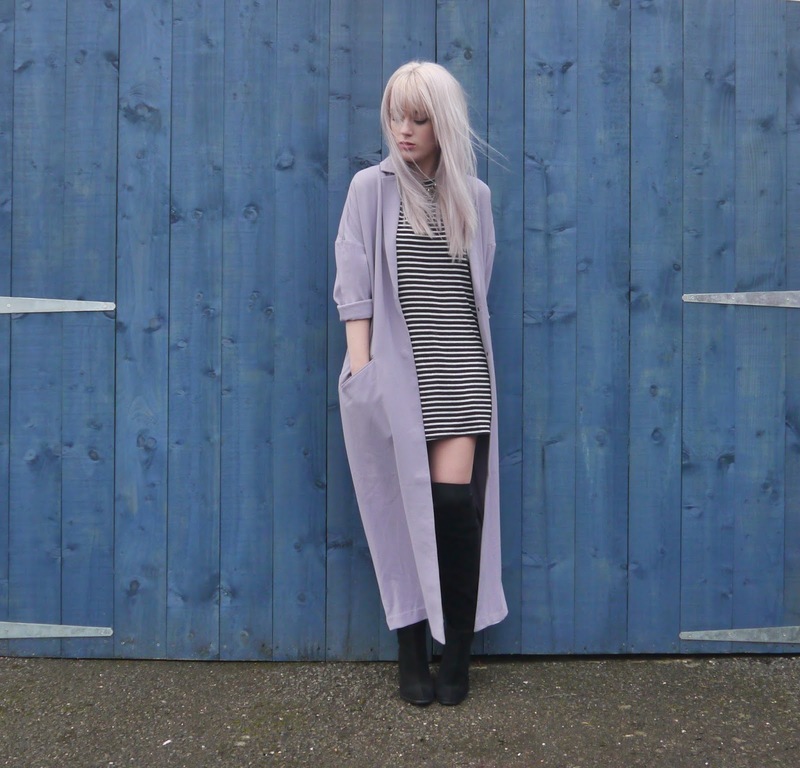 love the colour of the duster coat!